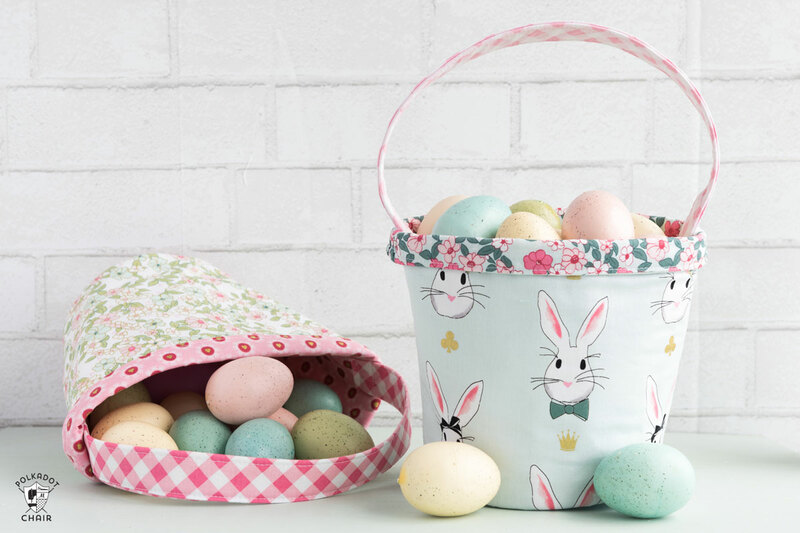 Celebrate Easter by stitching up any of these free project patterns and tutorials from our WeAllSew archives. Create a quilted bunny mini quilt, stitch a fair fabric basket, or stitch a sweet springtime girl’s dress or skirt. This sweet Easter Bunny Mini Quilt can be used as a table topper, a wall hanging, or a banner. 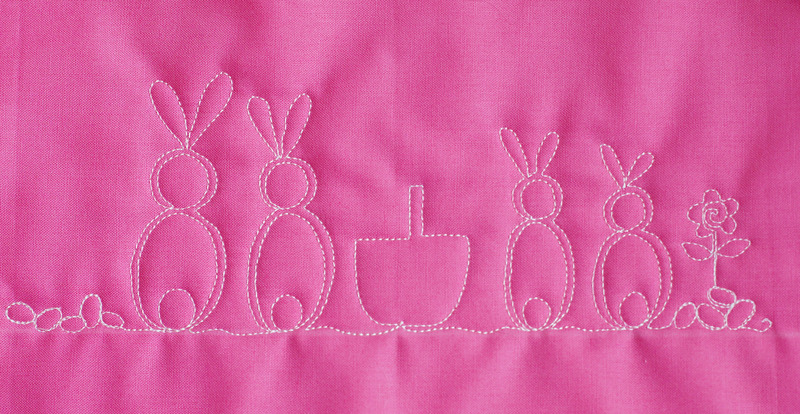 Learn how to create this adorable cottontail bunny mini quilt here at WeAllSew. Spring is finally here and it’s time to jazz-up your home with lively colors! Find out how to make the bright and cheerful Springtime Chair Covers here. 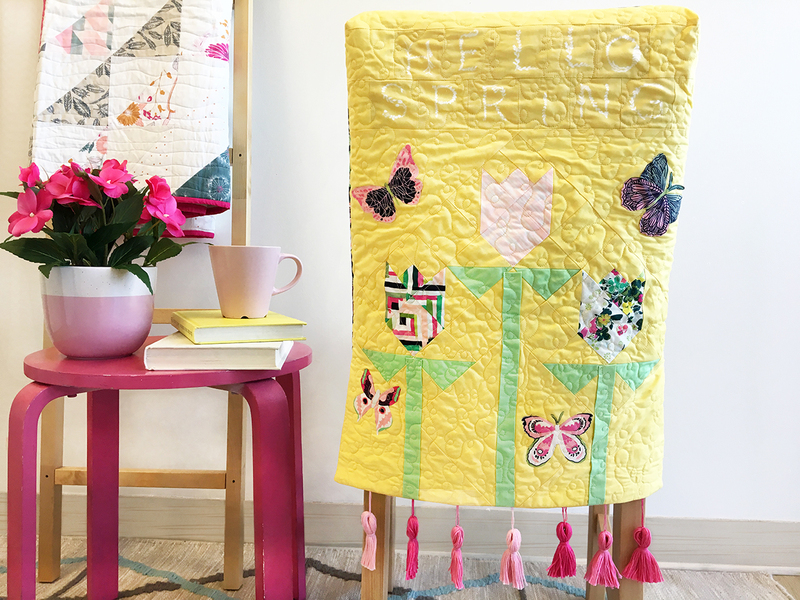 Follow along with this step-by-step tutorial and you’ll be ready for spring—“Quick like a bunny!” Click here for the Free-motion Quilting Bunny Tutorial. 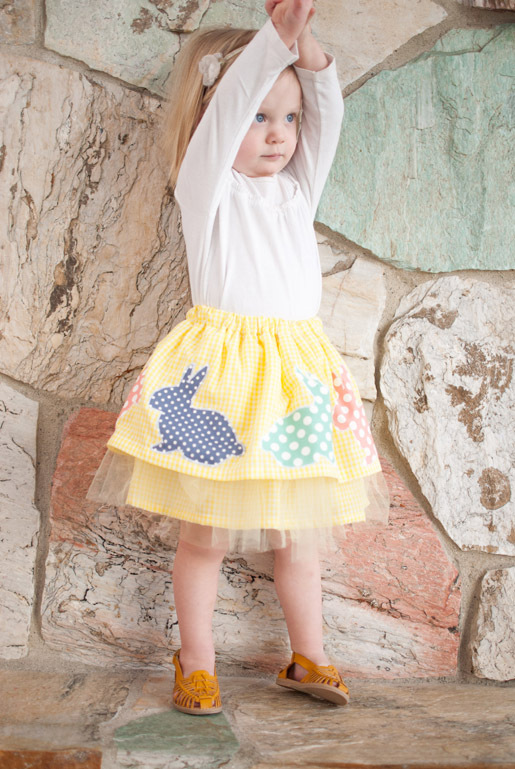 Mix a simple-to-sew gathered skirt with some tulle, add bunny appliqués, and you’ve got a fun Fluffy Easter Skirt! 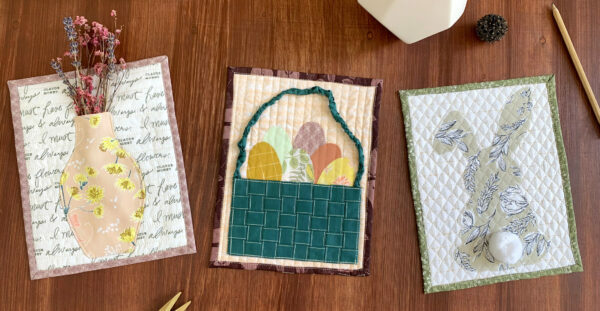 Our friends at Art Gallery Fabrics wanted to make something special to decorate our homes this coming April, and created these extra cute Easter Mini Quilts! Perfect for hanging in any room in your home. 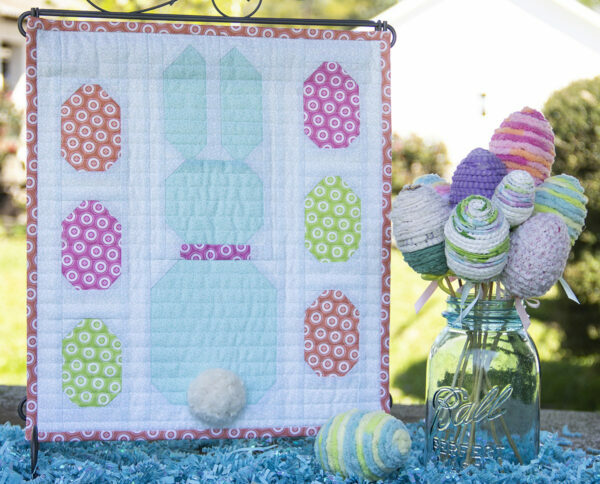 Find the step-by-step tutorial to make Easter Mini Quilts here. 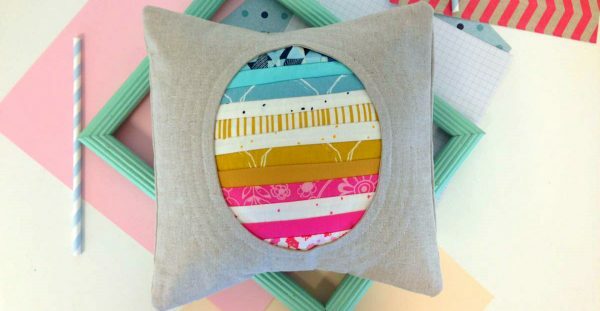 With the Spring Tidings Pillow you can learn to create decorative stitches and to quilt as you go! Stitch a Spring Tidings Pillow and Egg Ornament with this tutorial at WeAllSew. They say you can’t count your chickens before they’re hatched, but you can count on the baby chicks motif to add charm to your next quilt! 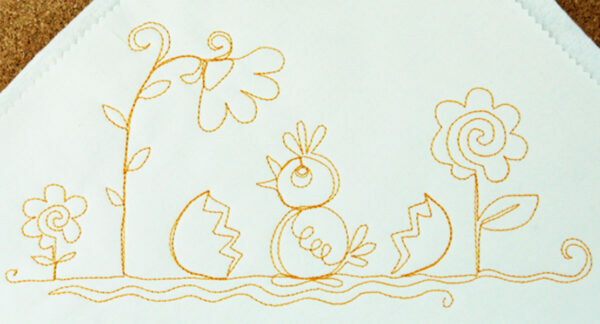 Stitch one baby chick in the center of a square block or stitch a row of chicks to create a fun border. Find out How to Free-motion Quilt Chicks here. 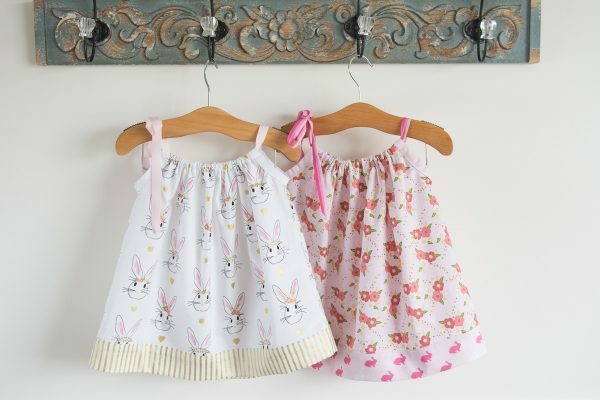 If you are looking for a quick, easy, and cute girl’s spring dress to stitch, these pillowcase dresses are just the project! Find the free tutorial to make Pillowcase Dresses here. 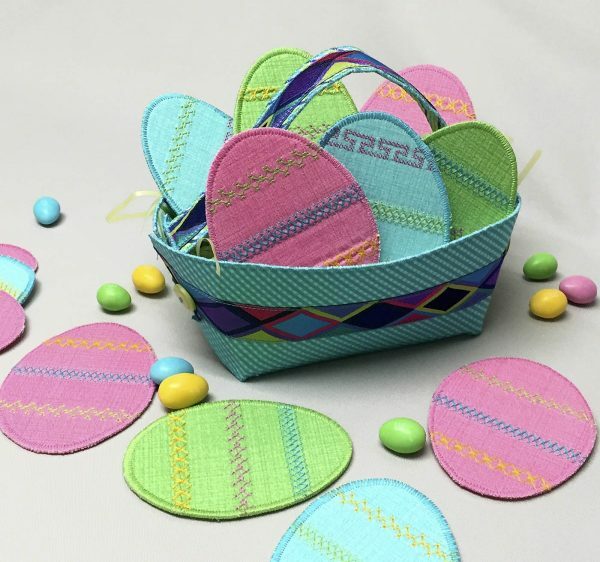 These small fabric baskets are perfect for little hands to hold! 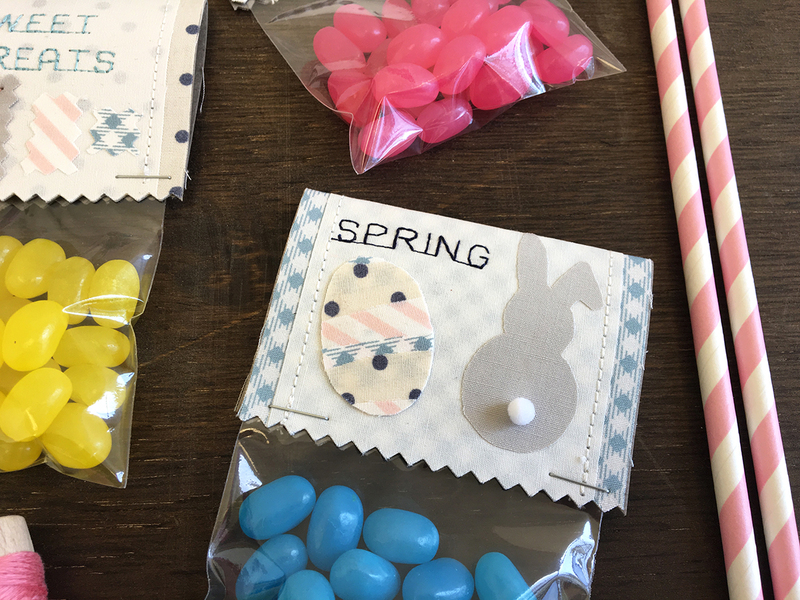 Make custom baskets to hold sweet spring treats, or to hold egg hunting treasures. Click here to find the Fabric Easter Basket tutorial. What better way to hand out sweets then with a personal touch? Create your very own Easter Treat Tags with this tutorial. These sweet treat bags are simple to make and cute as a bunny! 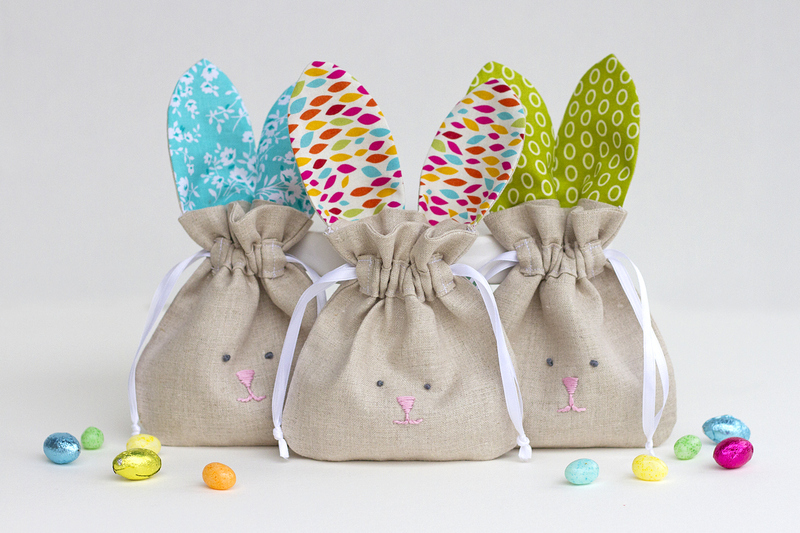 Find out how to make these Drawstring Bunny Bags here at WeAllSew. Decorating eggs is so much fun, but you can’t stitch on an egg…or can you? 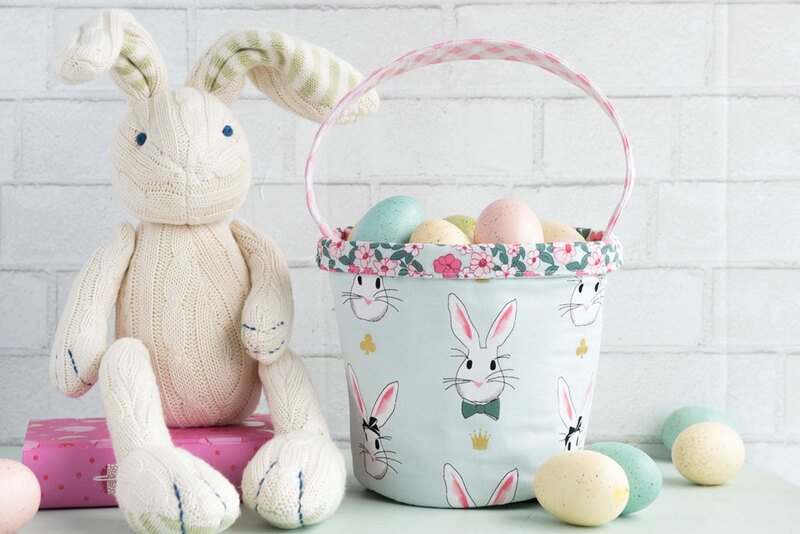 Make special Easter eggs that are perfect for gifting, a special egg hunt, a table decoration, or to just add to a basket for the special bunny in your life with the Decorative Stitched Easter Egg tutorial.